Tribe Breweries Goulburn Operations Manager Joerris Noll expects brewing to begin at the Goulburn site early in the new year. 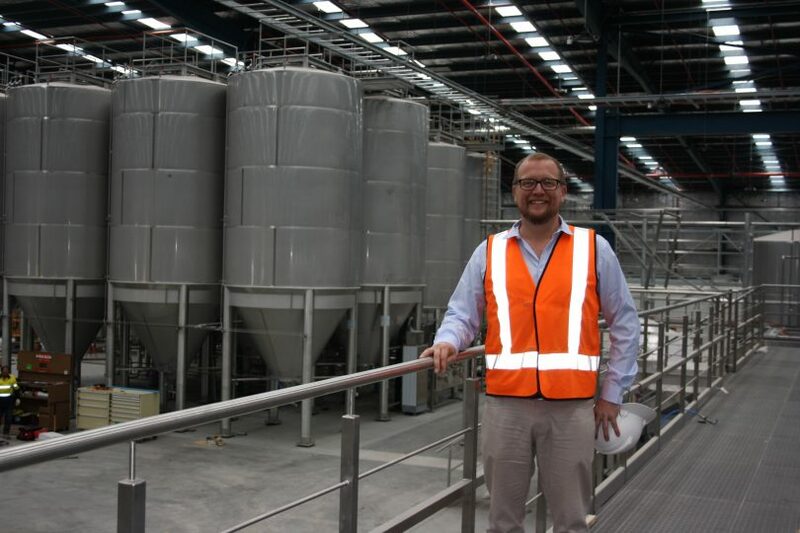 Consumer choice is driving demand for craft beers and Sydney based Tribe Breweries is primed with its new $35m brewing and packaging facility in Goulburn almost operational to increase and consolidate its market share. 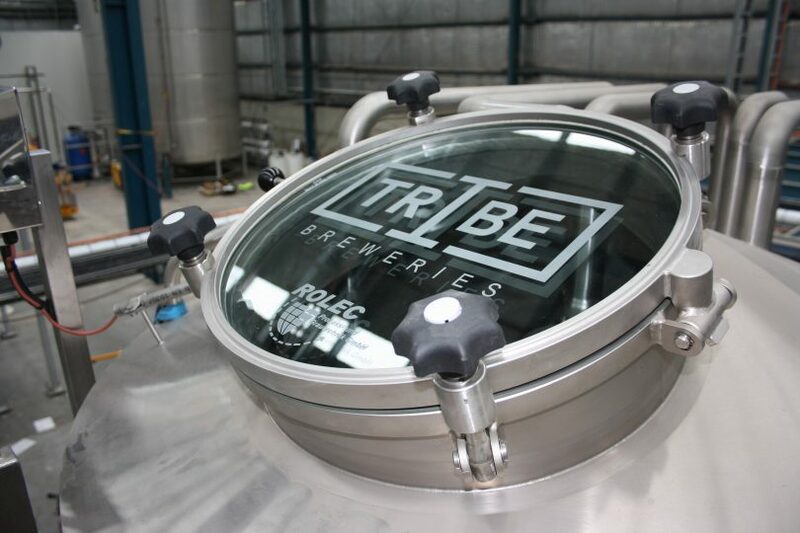 When the state of the art facility begins brewing around early February 2019, it will make Tribe Australia’s fourth largest brewing group. 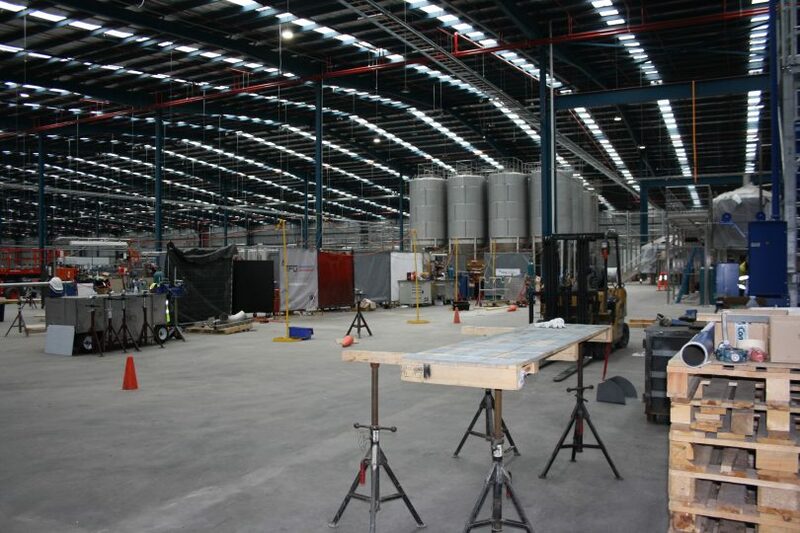 Work began on the new Goulburn brewery in July 2018, converting the 20,000 square meters former Retail Distribution Management (RDM) site into a craft beer brewing facility capable of employing up to 150 as operations expand. CEO and Founder of Tribe Breweries Anton Szpitalak sees the surge in demand for craft beers as a consumer awakening. “They are demanding choice and want something different,” he said. The Tribe Breweries’ Goulburn facility joins Tribe’s original production site at Smeaton Grange in Sydney which produces over one million cartons of beer annually, and another production site at Marrickville. The Goulburn brewery has been a purpose-built brewery with a capacity of brewing 30 million litres of beer each year, and up to 70 million litres per annum as operations grow. Tribe burst onto the market five years ago, seeing the gap both in craft beer production, and also offering ‘partner brewing’ for smaller and start-up craft brewers. In the last three years, Tribe has grown its production by about 50% on average each year. The Goulburn operation is the most advanced brewery in Australia, Anton says. It boasts best-in-class brewing, packaging and beverage processing technology for cans, bottles and kegs and has the broad capacity to meet the demands of the emerging craft beer, cider, Ready To Drink (RTD), wine and non-alcoholic markets for Tribe and its brewing partners – in domestic and international markets. When fully operational, the Goulburn facility will be the most advanced brewery of its kind in Australia. Tribe’s ethos of growing the craft beer space, and sharing its brewing capabilities with craft beer producers and consumers globally, is consolidating its place in the Australian craft beer market, and establishing a strong presence in Australasia and China. It brews some 130 beers and exports to around eight countries overseas and has 32 partner brewers. “Australian consumers are looking for a connection to their beer. Imported beer brands are seen as a mark of superiority but now craft beers are also being seen this way. It’s like King Island dairy products; there are a place and story associated with the products and it deepens the experience of what they consume. The cheese industry has led this artisan approach and beer is following suit,” Anton said. Tribe Breweries’ brands include the Stockade Brew Co, the Mornington Peninsula Brewing Co, Wilde Gluten Free and Chao Siam. Tribe is also the official distributor for the American beer, Pabst Blue Ribbon. Distribution has similarly kept pace with production in Australia and, particularly, in Asia, China, Japan and the Philippines. Tribe Breweries Goulburn Operations Manager and Joerris Noll expects brewing to begin at the Goulburn site early in the new year. “We will have the first brew in these vessels (vats) by the end of January, early February 2019,” he said. But Tribe growth was all about supplying the demand for craft beers. “The Chinese market is exploding at the moment and they have jumped straight over [mainstream] beers to craft beer,” Joerris said. You can find out more about Tribe Breweries here. The Goulburn brewery has been a purpose-built brewery with a capacity of brewing 30 million litres of beer each year, and up to 70 million litres per annum as operations grow. It’d be good if a beer expert could clear up for us whether commissioning a huge brewing outfit to brew beer for you – even if it’s your own recipe – is “craft brewing”. This will surely devalue the meaning of “craft”. To my mind, craft brewing is small scale by definition. For a $150 million outfit to be brewing on a “craft” scale, they’d have to be aiming to be commissioned by an unrealistic number of small brewers, e.g., more than even the potential legitimate craft market. Note that, already, the multinationals do a lot of pretend craft brewing using bought-up subsidiaries, which is just a product diversification, rebranding and marketing exercise. This is sounding more like the latter – but I’d like to hear from someone who knows their beer. ‘ang on – can someone please explain to me how the “fourth largest” operation in the country can be said to be creating “craft” beer? When does a craft beer become just another mass produced beer? How could a brewer that has 4 sites with up to 150 operators at one site be considered a craft brewer? Surely at that scale they have lost the craft tag, even if their product is different to the traditional mainstream beers. Guess it is all marketing to justify the cost premium a “craft” (mass produced) beer would attract. While Tribe brews its own beers, the Goulburn factory will brew craft beers through their partner brewing program. This is what accounts for the number you’re referring to. So a number of small craft brewers, having their product made at the Goulburn factory. Each beer is obviously made to the individual recipe.